Elements of Indian Dances, Indian Dances, Abhinaya, Indian Dance Elements, Elements of Classical Dances. Indian Classical Dance has various elements like abhinaya and navarasas. Read further to know about the basic elements of Indian Dance. The Indian classical dance forms are dominated by the basic elements of a performance, including abhinaya and rasa. Abhinaya is an inevitable part of the dance, since it conveys the true meaning of the performance. On the other hand, the use of rasa varies from one performance to another. The use of a particular rasa is dependent on the situation or the story of the dance performance. Go through the following lines and check out more information on the basic elements of Indian dance - abhinaya and rasa. Abhinaya is common to all classical Indian dance forms. In fact, it makes the dance form attractive and meaningful, because without abhinaya, the artist is considered a bad performer. Through abhinaya, the spectator experiences the particular emotions of the character or situations that are portrayed by the dancer performer. As the name suggests, Abhinaya is the expressional aspect of dance, or 'nritya'. Several people have studied the classical art forms and many are adept at delivering the right form of abhinaya, corresponding to the situation depicted in the story of the dance performance. Natya Shastra scrutinizes Abhinaya, which is an inevitable part of the majority of Indian nuances of dances, Abhinaya have been categorized into four types that are given below. Angika is the physical aspect of Abhinaya wherein movements and gestures are used by the performer to convey different meanings. Here, every part of the body is used to convey the meaning. The artist makes use of hastamudras (hand gestures) and mandis (postures) to put across the thoughts to the audience. Angika is one of the important parts of the majority of classical dance forms of India. Vachikabhinaya is the vocal/verbal form of abhinaya. Though not used by the dance performer, Vachikabhinaya forms an important part of the performance. This tool of dance is generally used by the members of the orchestra in the supporting team, typically, the non-dancing cast. It is a popular belief that Vachikabhinaya has originated from Rig Veda, the book of Hymns. Aharyabhinaya or the external expression is the mood and background that is conveyed by costume, make-up and accessories of the performer. This is especially important in certain dance forms, wherein the mood of the character or the character itself is figured out by the costume that the artist wears, during the performance. Satvikabhinaya is the psychological form of abhinaya, which is shown by the eyes (in particular) and as a whole by the entire being of the performer. In order to communicate the thought to the spectator in the best way, the performer should feel the mood, empathize the character that he/she is portraying. In fact, the emotion should emanate from within one's self, not just through the act or practical representation of the character. Navarasas, or the nine emotions of dance, gives all the performance the much required 'completeness'. Inclusion of any of the nine rasas is very important in a dance performance, because it allows the dancer and the rasikas (audience) to experience the full beauty and meaning of the lyrics, the movements and the emotions of the character(s) that are portrayed. 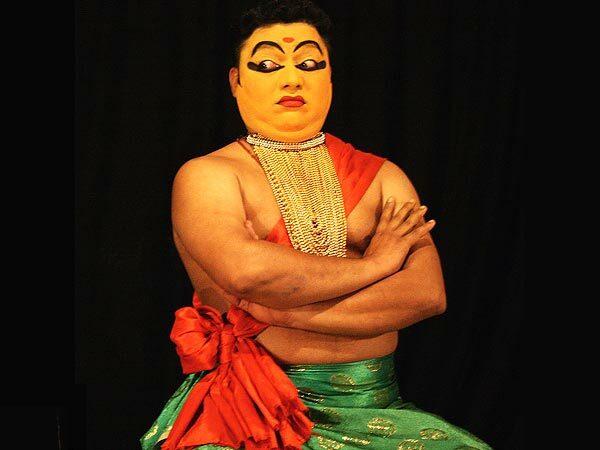 Eyes and the face are predominantly used by the performer, to express the different rasas. Subtle muscle shifts on the face, the movement of the brow and the slight movement of the body, as a whole, are done to convey the emotion of the character that is depicted in the 'story' of the performance. Actually, it is seldom to see an artist displaying all the nine rasas at the same performance. The navrasas are given below.